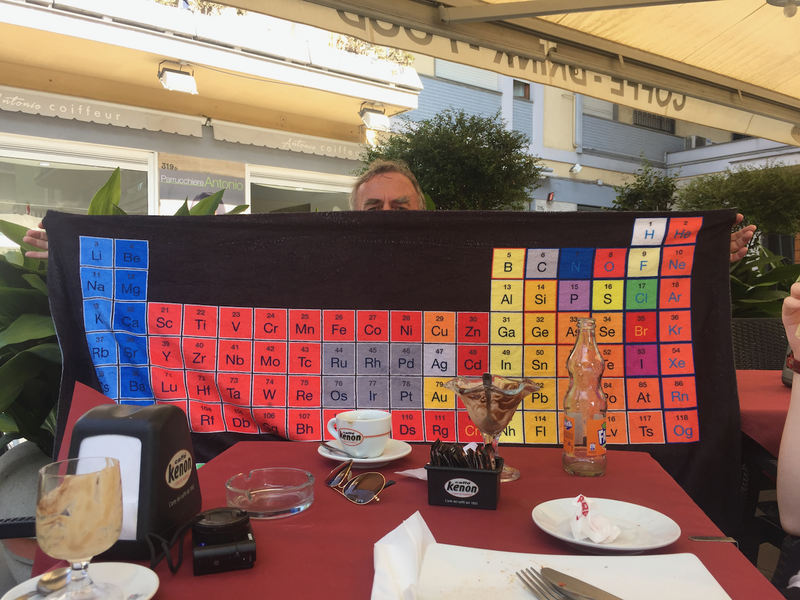 Have periodic table towel will travel. That’s Mount Vesuvius in the background. Lots of chemistry in a volcano. I rather like H where I put it (above F) in the table but you may not! This followed a 5-month period of public review after which the names earlier proposed by the discoverers were approved by IUPAC. 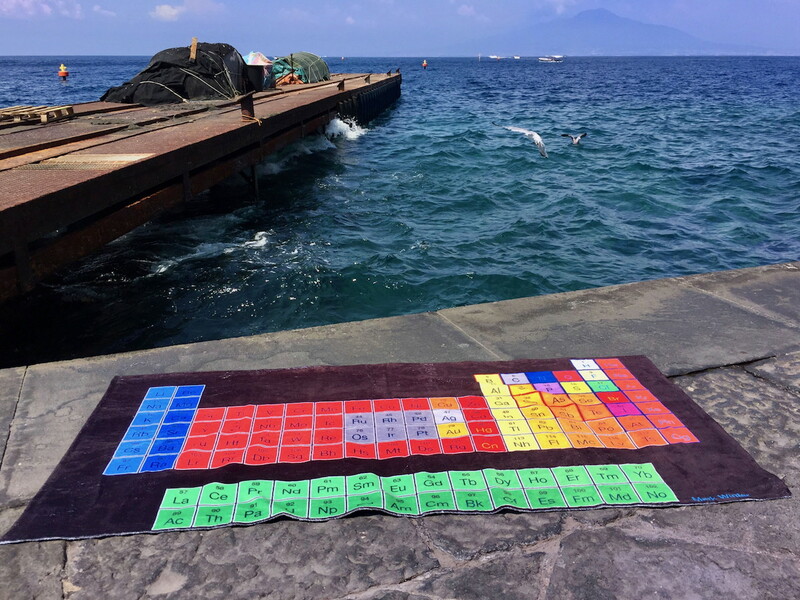 The International Union of Pure and Applied Chemistry (IUPAC) has provisional recommendations for the naming of new elements and the recommendations are open for comment until 29 February 2016. The discoverers have the right to suggest names and symbols. Can you make your name from the element symbols? Can you make your name, or any other word(s) come to that, from element symbols? Find out using this MyFunStudio script.